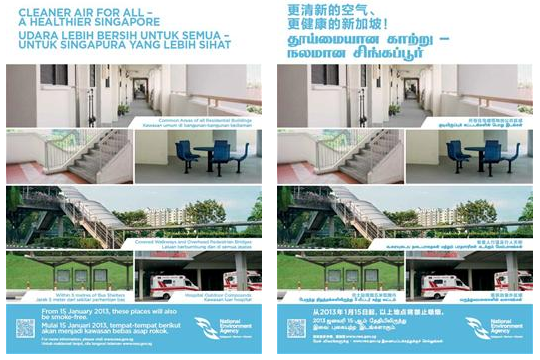 Lim Swee Say | What’s NEA anyway? Never has the NEA been in the limelight so much – and all for the wrong reasons! With the rise in dengue cases and a record-breaking haze PSI, its arms are fuller than usual. But without such national concerns, we rarely hear mentions of NEA, let alone the other initiatives they do throughout the year. For instance, have you seen these posters around lately? This is the recent update to smoke free areas since it was last extended in 2009. It now includes common areas of all residential buildings, covered walkways, within 5 metres of bus shelters, and hospital outdoor compounds. 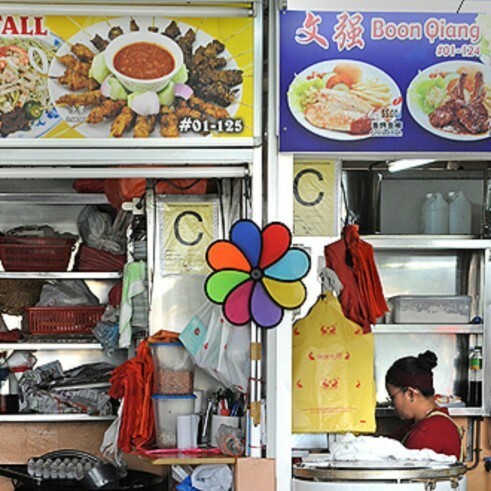 When you’re queuing up at food stalls for your char kway teow, you may have also seen hygiene rating displayed prominently. The NEA regulates the food retail industry here to ensure that food sold is prepared hygienically and safe for consumption. The grading assessment is carried out within three months after the license is issued, and annually thereafter. NEA also manages tenancies, licenses, and public health aspects of markets and hawker centres. They conduct monthly tenant exercise for those who are interested in renting hawker centres. Back when Lim Swee Say was the Environment Minister (2001 – 2004), one of the things he did was to overhaul the cleanliness of hawker centres. Instead of phasing out hawker centres to private operators, he saw their unique social role and drove the Hawker Centres Upgrading Programme (HUP) to preserve them, and ultimately help those who were affected by development plans. Ever wondered who’s responsible for for our international reputation as the world’s cleanest city? The NEA! Another of its key missions is to maintain the clean state of public toilets as part of their health efforts. 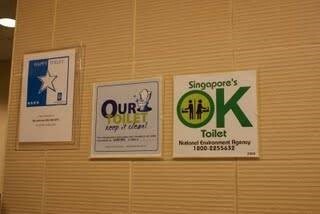 You may have even seen the ‘Singapore’s OK’ rating in public toilets, a Happy Toilet Rating as part of NEA’s programme to encourage and give recognition to toilet operators for the Design, Cleanliness and Maintenance of public toilets. The other thing that many of us may take for granted is the tap water that is safe for many of us to drink. If you’ve lived in our neighbouring country in Malaysia, you would appreciate the quality of Singapore’s piped drinking water, regulated by NEA’s Drinking Water Unit through audits of water test results, and inspections of drinking water plants. Some of the more interesting aspects of what they do falls under their Port & Airport Health section, working closely with ICA and MPA to screen passengers and manage inbound vessels respectively to prevent the introduction of infectious diseases into Singapore. An even lesser known aspect of what NEA does is their cremation, burial, and columbarium services. Who would have thought! These are just some examples of NEA’s day-to-day missions that don’t get as much attention from the public and media because they’re not “crisis-worthy”. It certainly is reassuring to know that Singapore has a reliable body to handle such issues. Never mind whenever a crisis happens recently you will find a minister or 2 or 3 or more managing the crisis painting themselves into a corner like the accuracy of the PSI, is it 3hr or 24hr or realtime, Is PM2.5 important at all, why are we using PSI and not AQI?